Epsom salt is a potent mineral compound comprised of magnesium and sulfate. It is widely used to relieve many minor health issues. Soaking in a bath with Epsom salt can relieve achy feet and soothe sore muscles. Epsom salt is used in skin cleansers and hair care products to help naturally exfoliate skin and give hair more volume and shine. Many people also turn to Epsom salt as a remedy for occasional constipation as ingesting food grade Epsom salt flushes the gastrointestinal tract and encourages detoxification. Epsom salt is named after the English town of Epsom, where the substance was first produced. Although it is referred to as “salt,” it does not contain sodium and, despite sharing similar physical characteristics, has different properties from table salt. For instance, adding Epsom salt to warm bath water makes your skin feel smooth and silky, while table salt has a drying effect. For this reason, Epsom salt is a common ingredient in bath salts that cleanse and soften skin. "All products labeled as Epsom salt are essentially the same, but there is a difference between “food grade” Epsom salt and non-food grade Epsom salt – the latter being produced for agricultural use." All products labeled as Epsom salt are essentially the same, but there is a difference between "food grade" Epsom salt and non-food grade Epsom salt – the latter being produced for agricultural use. The former will bear the “USP” designation, which means it is certified according to standards set by the United States Pharmacopeia and the Food and Drug Administration. Because agricultural or garden grade Epsom salt is not manufactured under the same conditions, it may contain contaminants. What Makes Epsom Salt Work? Epsom salt has two major components: magnesium and sulfate (sulfur). These minerals are essential for optimal health. 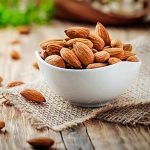 Magnesium is a cofactor involved in more than 300 enzymatic processes, including protein and DNA synthesis, the regulation of blood pressure and serum glucose levels, and supporting the body's detoxification routes. Magnesium is also required for the uptake of calcium and potassium, both of which are necessary to regulate nerve, muscle, and heart function. Sulfate is involved in several biological functions as well, most notably in the gut. This mineral facilitates the release of protease, lipase, and amylase, which are pancreatic enzymes needed to digest food. It is needed to form specialized proteins in epithelial cells. These cells line and lubricate your intestinal tract to keep things moving smoothly and prevent intestinal bacteria from leaking into the bloodstream. Sulfate is also required for the prenatal development of brain tissue. Dietary sources of magnesium include whole grains, green leafy vegetables, nuts, and seeds. Due to the beneficial qualities associated with magnesium and sulfate, Epsom salt is used as a natural remedy to support many health issues including inflammation, constipation, and strain from exercise. It may also help remove splinters, relieve a sunburn, and soothe the itch from poison ivy. Bathing with Epsom salts is a healthy way to reduce stress, while at the same time promoting the elimination of environmental toxins from your body and increasing new cell turnover through exfoliation. It is also used in beauty regimes and can even be added to soil for a healthier garden. Inflammation is a natural process in which white blood cells rush to the site of injury to counter foreign agents that might lead to infection. Evidence of this taking place is seen in localized swelling, bruising, itching, or redness. Adding two cups of Epsom salt to a warm bath breaks down this compound into its two components, magnesium and sulfate. 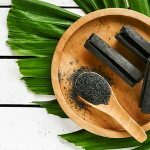 Since these minerals are readily absorbed through the skin, soaking in this solution may reduce discomfort and swelling from sore muscles and joints, aching feet, sprains, bruises, and minor skin irritations. Epsom salt can help fix magnesium deficiency. Magnesium deficiency can result from not getting enough magnesium in your diet. Additionally, the National Institutes of Health, warns that magnesium deficiency commonly happens as a result of medical conditions like kidney disease, diabetes, and Crohn’s disease. People who use certain medications that interfere with the absorption of this mineral, or that speed its elimination from the body can also be deficient. 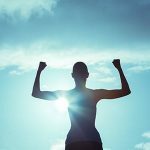 Other factors that can lead to low magnesium include excessive intake of alcohol or caffeine, consuming too much salt, heavy menstrual periods, and chronic stress. Food grade Epsom salt is approved by the FDA for use as a laxative to relieve occasional constipation. Magnesium sulfate exerts laxative effects because it stimulates the ileal brake. This mechanism serves as traffic control for the movement of digested food through the intestinal tract. Drinking a solution of food grade Epsom salt increases the transport of water to the large intestine. This results in a natural colon cleanse and body detox. Your gallbladder may also benefit from magnesium sulfate as a flush to help relieve gallstones. Epsom salt may also be mixed with purified water and administered as an enema. For adults, the typical serving is one or two teaspoons of Epsom salt mixed with eight ounces of distilled or purified water. This blend is consumed once daily. There are many ways to use Epsom salt in your personal care regimen. Many people enjoy soaking in a warm bath that contains Epsom salt bath crystals because it exfoliates their skin, reduces stress, and relieves aches. Epsom salt can also be combined with your favorite cleanser, a carrier oil such as sweet almond or melted coconut oil, or simply moistened with plain water to make a body and facial scrub. Epsom salt may also be used for everyday hair care. Mixed with an equal amount of hair conditioner that has been slightly warmed, Epsom salt will soften and increase hair volume, especially for oily hair types. For best results, massage the conditioner mixture onto the scalp and through the hair, and wait 20 minutes before rinsing. Epsom salt can also be used to make a natural hair spray. Combine one cup of Epsom salt with one cup of water and two tablespoons of fresh lemon juice in a spray bottle, and shake well before using. A foot-soak in warm water and Epsom salt works wonders for tired, aching feet. 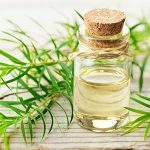 Incorporating essential oils into a foot bath is even more beneficial. If your feet are feeling tired, a few drops of peppermint oil will revitalize them. If you have issues with foot or nail fungus, add a few drops of tea tree oil to your Epsom salt soak. It can even help remedy the effects of athlete’s foot. While you’re taking care of your feet, you can also take care of your shoes. Grab an old, clean sock and fill it with Epsom salt. Tuck it into sneakers or boots to help absorb odor. Epsom salt can improve the quality of soil. It supports the uptake of sulfur, nitrates, and phosphorus in plants. Magnesium is needed for seeds to germinate and for plants to produce chlorophyll. Sulfur is used by plants to synthesize proteins, amino acids, and enzymes. In fact, sulfur is responsible for the distinctive flavor of many vegetables, including garlic, onion, cabbage, and broccoli. While many types of plants benefit from fertilization with Epsom salt, the practice is especially effective for plants that require high levels of magnesium, such as tomatoes, peppers, and roses. According to the National Gardening Association (NGA), using Epsom salt in the garden yields larger vegetables, and fuller rose bushes. Soil that is deficient in magnesium tends to have a low pH. This deficiency makes alkaline levels too high to successfully grow crops and flowers. Soils with a pH of seven or higher may benefit from potassium and calcium but tend to lack sufficient magnesium. Either scenario is remedied by conditioning the soil with Epsom salt and water. A foliar spray application works best for this purpose. For roses, the NGA suggests applying one tablespoon of Epsom salt per gallon of water for each foot of plant height. This solution works best when applied as soon as leaves open, and again when flowers begin to bloom. For tomatoes and peppers, the recommended application is one tablespoon of Epsom salt in a gallon of water. For maximum effectiveness, spray this mixture on plants after transplanting, at flowering, and as fruits begin to set. Savvy gardeners also know that Epsom salt is an effective, chemical-free alternative to toxic weed killers. Mixing two cups Epsom salt, a gallon of water, and one-quarter cup dishwashing liquid can be applied to weeds with a sprayer. This will cause them to die off within 12 hours. Be advised that this solution will kill any variety of plant, including your favorite ornamental shrubs and flowers, and should be used with caution. "Epsom salt is generally safe. However, it is possible to experience adverse side effects. In extreme cases, large servings of a magnesium supplement can lead to severe health issues." Certain medications may interact with magnesium supplements, including diuretics, proton pump inhibitors (PPIs), and medicines used to treat osteoporosis. Magnesium may also interact with antibiotics in the tetracycline class (doxycycline and demeclocycline) or quinolone antibiotics (ciprofloxacin and levofloxacin) unless taken two hours before, or six hours after taking these medicines. Be sure to check with your healthcare provider before supplementing with magnesium sulfate during pregnancy, or while you are nursing. Seek professional advice if you take prescription medications, or if you have a chronic health condition. Is Epsom Salt Right for You? 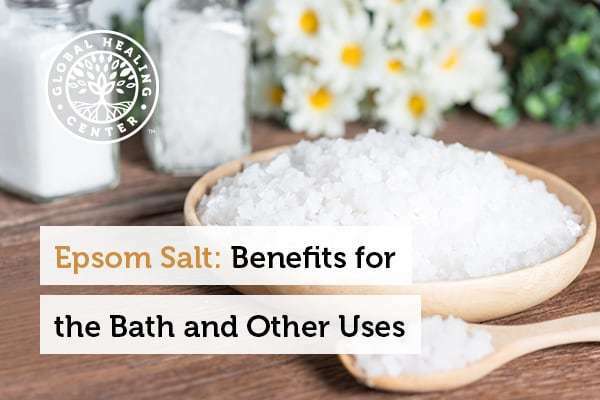 Epsom salt offers many benefits, and there's no question that adding it to a hot bath and soaking soothes sore muscles. However, if your goal is to get your required intake of magnesium, try Intracal™. It’s a combination of magnesium orotate and calcium orotate – two vital nutrients that support healthy teeth and bones, the nervous system, and cardiovascular health. Have you ever used Epsom salt? Why did you use it? Did you find it helpful? We’d love to hear from you. Please tell us your story in the comments section below. "Magnesium: fact sheet for professionals." U.S. Department of Health & Human Services. National Institutes of Health. nih.gov. 2017. Accessed 17 Jan. 2018. Waring R. "Sulfate and sulfation: epsom salt council." School of Sciences. University of Birmingham. Accessed 17 Jan. 2018. King D, et al. "Dietary magnesium and C-reactive protein levels." J Am Coll Nutr. 2005;24(3), 166-71. Accessed 17 Jan. 2018. Dibaba D, et al. "Dietary magnesium intake is inversely associated with serum C-reactive protein levels: meta-analysis and systematic review." Eur J Clin Nutr. 2014;68(4), 510-6. Accesseed 17 Jan 2018. Vu M, et al. "The osmotic laxative magnesium sulphate activates the ileal brake." Aliment Pharmacol Ther. 2000;14(5), 587-95. Accessed. "Bath salts." National Institutes of Health. drugabuse.gov. 2017. Accessed 18 Jan. 2018. McGorrin R. "The significance of volatile sulfur compounds in food flavors." Department of Food Science and Technology. Oregon State University. 2011. Accessed 17 Jan. 2018. Chalker-Scott L. "Miracle, myth, or marketing: epsom salts." Washington State University. wsu.edu. 2007. Accessed 18 Jan. 2018. "Magnesium." University of Maryland Medical Center. umm.edu. Accessed 18 Jan. 2018. Cinar V, et al. "The effect of magnesium supplementation on lactate levels of sportsmen and sedanter." Acta Physiol Hung. 2006;93(2-3), 137-44. Accessed 18 Jan. 2018. Chen Y, et al. "Effects of magnesium on exercise performance and plasma glucose and lactate concentrations in rats using a novel blood-sampling technique." Appl Physiol Nutr Metab. 2009;34(6), 1040-7. Cheng S, et al. "Magnesium sulfate enhances exercise performance and manipulates dynamic changes in peripheral glucose utilization." Eur J Appl Physiol. 2010;108(2), 363-9.